A network interface card, abbreviated as NIC, is what a computer uses to communicate with other computers on a network. Without some type of network interface card installed, your computer will not be able to communicate over a network. Obviously, most of networking revolves around this quaint little device- so it’s good to know what it does and doesn’t do. The network interface card operates on layer two of the OSI model- the Data Link Layer. They reside on this layer because they work with media access control addresses (abbreviated as MAC). Every single NIC has a unique number on it. This number is burned into the card at the factory in which it is made, and it can’t be changed. This is to ensure that every computer that connects to a network will be unique- and thus, no “Who’s who” problems will exist. The MAC address of a NIC is displayed as six two-digit hexadecimal numbers, separated by colons. 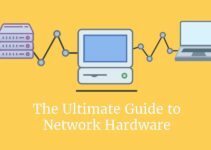 And although we do need a unique MAC address for each computer, it often doesn’t matter since logical addresses (Such as an IP address) are almost always used, as compared to physical addresses, on large networks. 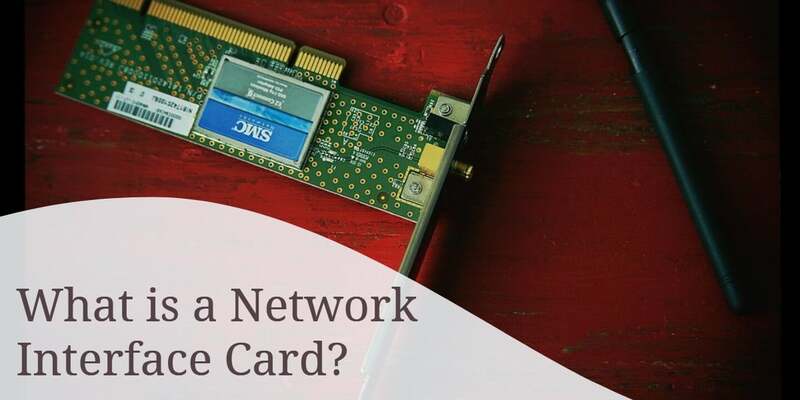 There are three primary things to look for in a network interface card: the bandwidth it supports, the type of media is supports, and the type of network architecture it supports. Bandwidth is the term we use to describe how much information can flow through a network connection at a given period of time. You can think of it as a pipe in which water is flowing through. We would of course want the larger pipe, so that we may have more water at a faster rate. When we refer to bandwidth, we generally group it into four different units: bits, kilobits, megabits, and gigabits. If you are using 10BASE-TX Ethernet cable, you are getting 100 Mbps (theoretically). If your NIC card only supports 10 Mbps, you wouldn’t be able to take advantage of the cable’s speed. Obviously, buying such a NIC would be a poor decision. Some NICs are only able to work on certain types of media. A NIC that only works on Ethernet cable, for instance, will not be able to use wireless or fiber optic media. It will instead be limited to copper connections. Some NICs can double over as a two cards in one- it isn’t uncommon to see a NIC these days with an optional wireless component. However, it is still important that the type of media your network is using corresponds to the type of media your NIC card agrees with- or else you’ll be searching for that receipt. Lastly, we have network architecture. This is both the physical and logical design of the network. Cables, hardware devices, network topology, protocols, and other equipment all fall into this category. The NIC will, in this instance, need to be compatible with everything else on the network. This category is kind of a given- but Cisco still defines network architecture as one of the three primary things a NIC card buyer needs to know. And hey- if it’s going to be on the exam, we might as well commit it to memory. Replacing a network interface card is usually common sense. Cisco likes to go into specifics, however, and demands that students know exactly at what point the replacement should take place. Generally, you should replace the NIC if you think the NIC is damaged. You may also add a secondary NIC for backup. Lastly, you’ll need to replace a NIC if your network changes and your current NIC doesn’t have the specifications to make the transition (example being a transition from copper media to wireless).